It was ‘Murica’s birthday not too long ago and while typically in the past I haven’t been able to celebrate much if any, I actually had the afternoon free this year! I, of course, worked in the morning but I was excited to come home to my roommates and two of our friends. I feel like Boston is really one of those cities where you can feel the spirit of the day anywhere! 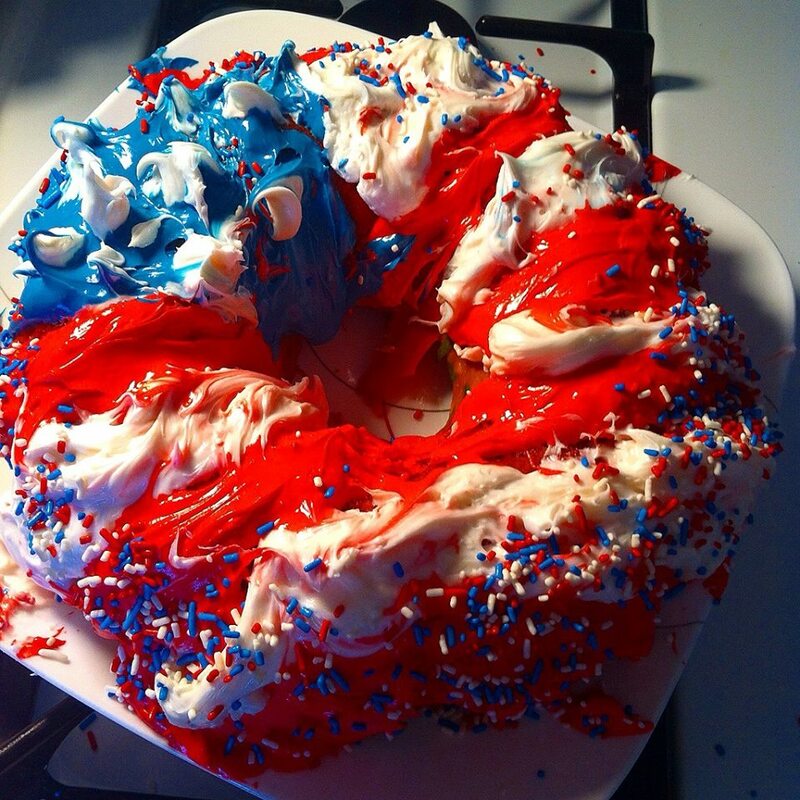 I came home to a whirlwind in our kitchen of my friends making this amazing tri-colored cake decorated like the American flag which was later devoured by hungry drunk bears. Those hungry drunk bears were us, not literal bears for those of you wondering. Feeling like we needed to contribute some snacks, my roommate and I went to the grocery store to pick some stuff up before heading back. Arms full of junk food, we made some drinks and played Kings! We didn’t even get halfway through the game before we cracked 3 different drinks in the center and everyone quickly became sufficiently intoxicated. Which was then the signal that we needed to go play beer pong outside, obviously. 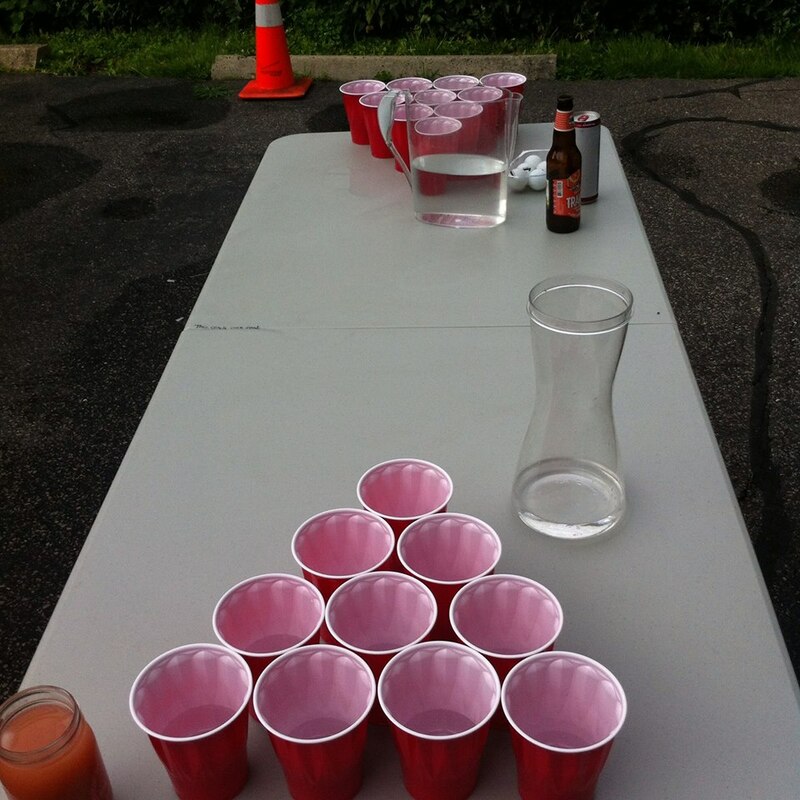 Now, I’m the queen of beer pong. I just keep sinking cups yet when I’m sober, I can’t shoot to save my life. My roommate and I are in the depths of the second game when the neighbors over the fence come outside. Cue Drunkadora, the drunk version of my other roommate, yelling at them to come join us. However…, ITS A FAMILY PICNIC. Oh god, we must’ve looked so awful. 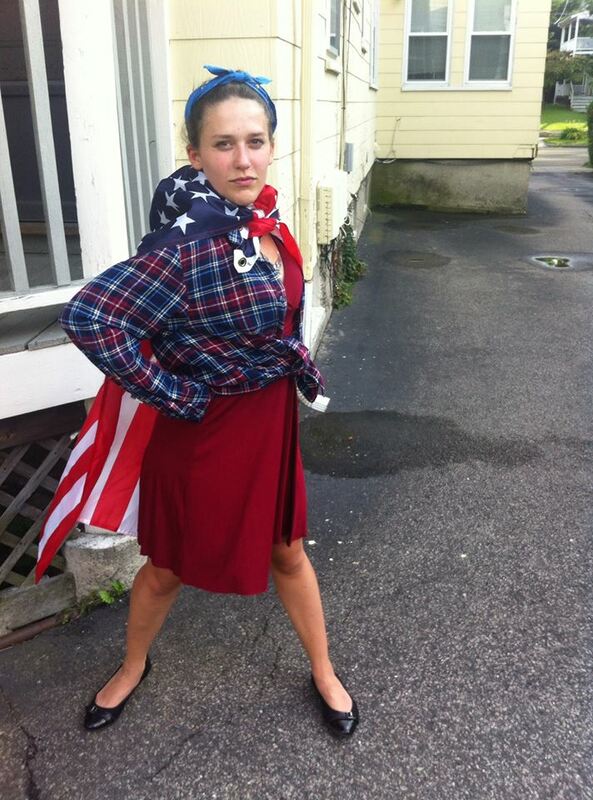 I’m wearing the American flag around my neck, my roommate is wearing a dress with a flannel, another friend was rolling around in the grass and we just kept throwing ping pong balls at each other. OOPS. But at least we were listening to a pure American icon- Bruce Springsteen. Can’t beat that! Finally we went upstairs and went HAM on all the food. Burgers, sausages, cole slaw, potato salad, seafood salad, chips and dip and of course that delicious cake. I started to sober up when I realized what a mess we had made but it was all in the name of America. Land of the free, home of the brave. My only regret was that I didn’t go into the city to celebrate! I had a really excellent day with my friends but we didn’t venture down to the Esplanade to watch the fireworks show. Apparently it’s the one to watch! My sister and her boyfriend came to visit for the week and spend the 4th in the city so I’d highly recommend anyone doing the same! Click to check out the 4th of July website for next years info! I hope everyone had an amazing time with their friends and family for the holiday! What kind of drunken shenanigans happened to you? SHARE WITH ME! Until then, I’m gonna watch my trashy tv shows and think of more blog posts to write. Check back on Thursday for a Food For Thought post!